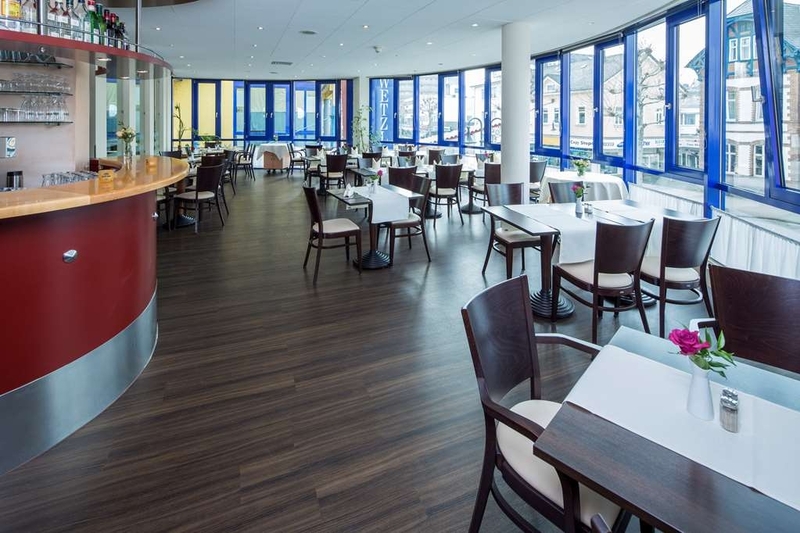 El Best Western Hotel Wetzlar se encuentra en el centro de Wetzlar. Venga y disfrute de las mejores atracciónes turísticas cerca de nuestro hotel. Precios bajos garantizados y ofertas exclusivas. 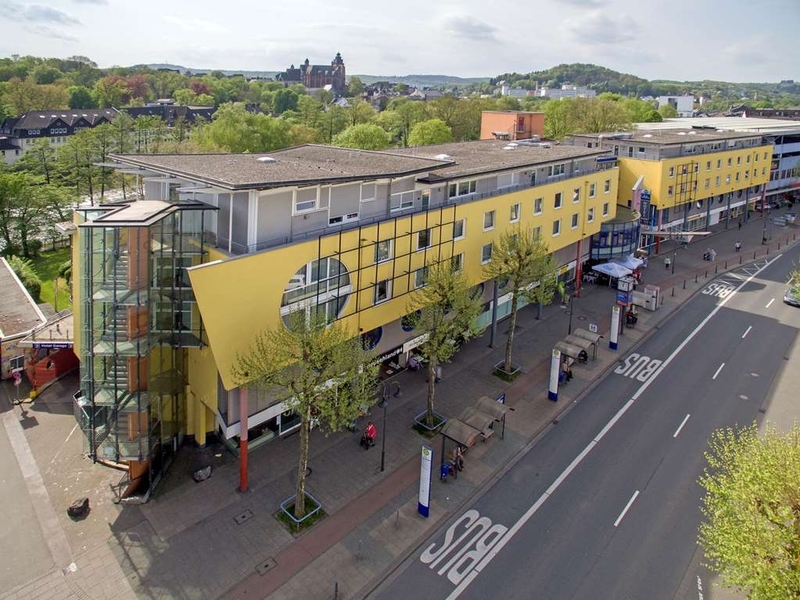 El Best Western® Hotel Wetzlar fue construido en 1995 y está situado en el centro de la localidad. A sólo 10 minutos de distancia a pie podrá acceder al centro histórico, la Catedral, la estación central y el Rittal-Arena. Wetzlar, también conocida como la ciudad de Goethe ofrece un extenso programa cultural. La piscina pública al aire libre está situada a espaldas del hotel. Nuestro hotel ofrece 66 habitaciones y dos suites junior. Las habitaciones están equipadas con escritorio, teléfono, televisión, acceso a Internet, radio, ducha, cuarto de baño y secador de pelo. Las habitaciones para no fumadores cuentan con equipamiento especial para huéspedes con limitaciones físicas. Nuestro hotel ofrece el entorno idóneo para reuniones de negocios, conferencias o seminarios. Cuenta con seis salas de reuniones magníficamente equipadas con los últimos adelantos tecnológicos para seminarios de Institute Neuland y acceso a LAN inalámbrica. Todas las salas de reuniones cuentan con aire acondicionado, plenitud de luz natural y sistema de atenuación de iluminación. 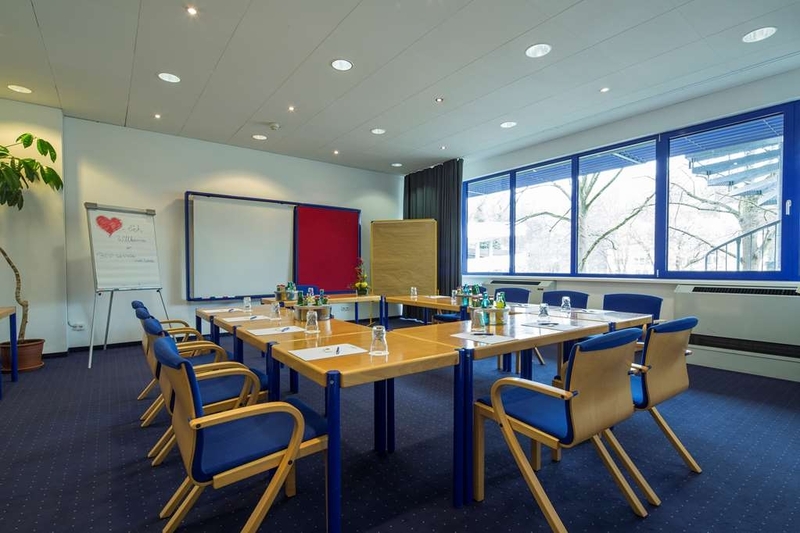 Además de las instalaciones de congresos, el hotel ofrece asistencia para coordinar la implementación, los objetivos y los propios requisitos de la reunión. De esta manera podremos crear un marco de trabajo individualizado para mayor éxito de su evento. Solicite nuestros servicios especiales para conferencias. Disfrute de su estancia en nuestro hotel. "Near to the city center"
We stayed one night and were pleasantly surprised by the spacious and clean room. Staff were friendly and helpful. Internet was free but slow, took me quite some time to upload some pictures, but fast enough for reading your mail or online papers. Parking was convenient and the parking spots were large enough to make for easy parking. Although our room faced the road, there was no noise from outside to be heard. Breakfast was simple, but they offered several sorts of fresh fruit. Would stay here again. "Best hotel without expect more"
I used to stay in this hotel during my business trips. Best Budget hotel comes with good breakfast. Nothing special other than the good rooms. Highly recommended for short stays. Management could consider to have a gym inside to hotel for guests. "Very good price and quality relation"
We stayed just one night here when passing through Wetzlar but could have stayed longer. Location - short walk (less than 10 mins) to both train station and Old Town, with supermarket almost next door Comfort- bright, cheerful, well lit, spacious room with good noise blocking windows. Very comfortable bed! Bathroom is not large but not pokey either. Nice fluffy large towels Good Wifi Nice terrace overlooking river Breakfast buffet was splendid - lots of variety. This is a standard hotel, but very nice and newly renovated. The breakfast was excellent, with a large selection, good quality and a few extra details such as bircher-müsli and different cup sizes for expresso, filter coffee and cappucino. "Nice hotel but no atraction"
Average hotel. Nothing bad, but nothing special. 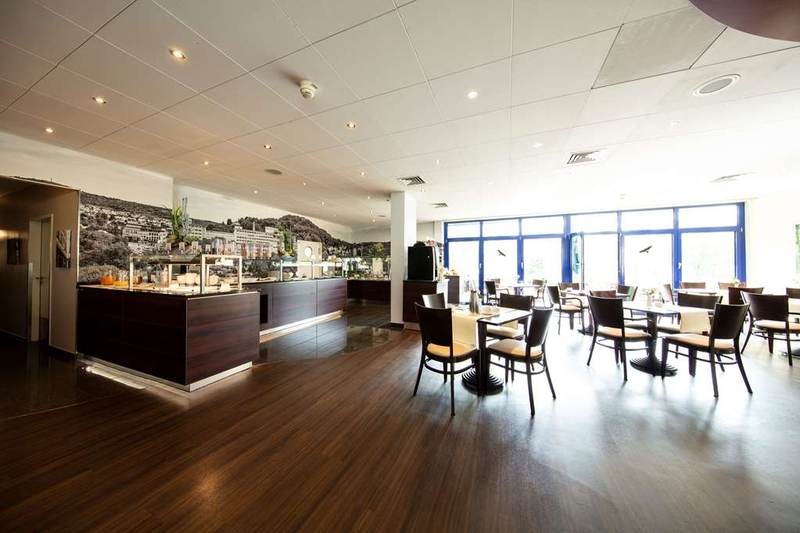 Spacious room, decent breakfast with good variety. Staff is very cold, especially if to check-in late in the evening. Good location - 10 min by foot to the station. In bookings.com this hotel gets four stars but if you ever have been in a internationally comparable four star hotel you'll never rate this one more than two. Rooms are shabby with poor air circulation so that the humidity is high and the smell, well, not that fresh, in some rooms even musty. Those god-awful wall-to-wall carpets make your nose itch. In the bathroom there are no accessories except a soap in a wall rack. Breakfast is decent and there is quite nice variety of dishes from what to choose, that's positive. The service from the staff was stiff and cold. There was also an event where one of our group member came late in the evening to the hotel and his room key did not work. Eventually he was forced to sleep in a hallway because there were no-one, not a single person from personnell, who could have solved the issue. Unbelievable. Think twice before choosing this hotel. Rooms are ok. Enough space. But no airconditioning and that is a big problem. Opening the windows is not a good idea, because of the mosquitos. Beds are excellent, not too hard, not too soft. Bathroom is ok. Breakfast is as one can expect from this kind of hotels. Location of the hotel is ok. Only 10 minutes walk to the Altstadt. You have to pay €15 for the parking. Rooms are €106. All together too much money for this hotel. Will look for other accomodation next time. We visited this hotel for a weekend in August. We chose it due to it being a chain we recognised. As we approached we weren't impressed in the area - it looked downbeat and untidy. On checking in we were told that part way through our stay the hotel was closing down for some urgent repairs... apparently they tried to contact me to let me know. Its strange, they had my mobile number and email... yet nothing from them! To be fair, they had sorted alternative accommodation for us and it was a better located hotel. I wouldn't look at this hotel if and.when we return! "Nice hotel, good breakfast. 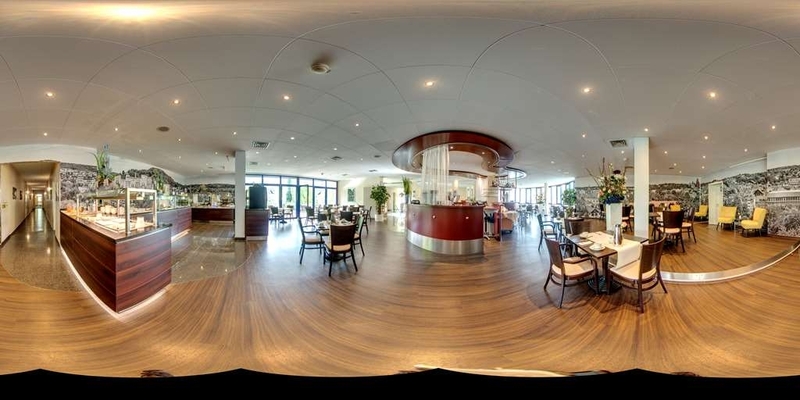 Great for a walk at the Lahn"
Stayed in the hotel during a business trip. Nice hotel and I got a nice view at the Lahn. Great to have a walk and close for a quick visit to the Wetzlarer Dom. The rooms are spacious and clean. For parking you need to drive a little bit further. Easy to do unless you carry a lot of baggage. In the neighbourhood you have a big choice of several dining opportunities, form fast-food to restaurants. I stayed here for 2 nights on business. 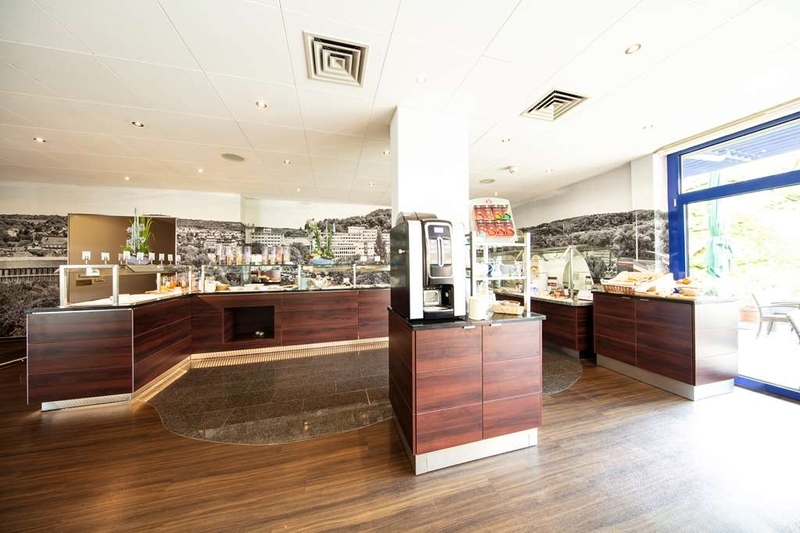 The hotel is about a 10 minute walk to the train station or exhibition centre. The room was pleasant and of a good size. Coffee and tea making facilities. Shower was good and a comfy bed. TV signal wasn't the best but they did have sky sports in the room. The room was clean. Breakfast was good. Selection of meats, cheese, breads and cereals as well as cooked items, bacon, eggs and sausages. Check in and check out were efficient and the receptionists were always helpful, they printed by flight boarding cards for me on the evening before my departure. Wi-Fi worked well and was pretty quick and reliable compared to other hotels where I have stayed. 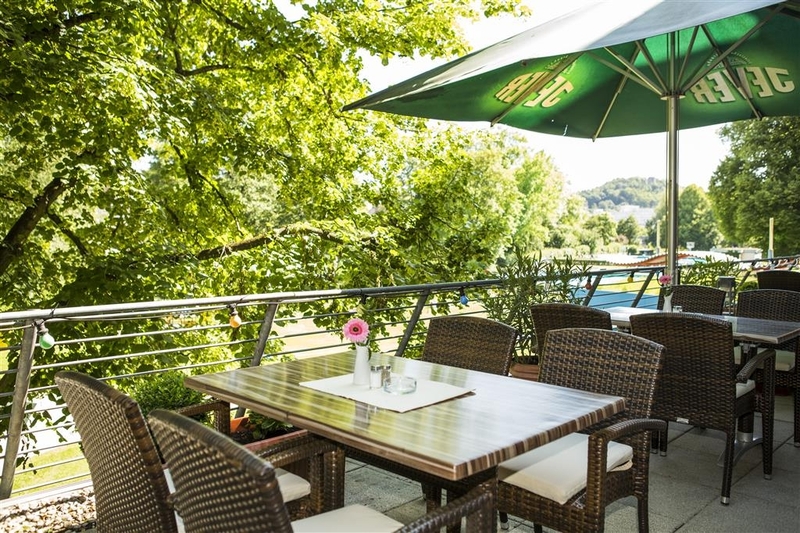 Nice views offered as well if you look onto Wetzlar old town over the river. 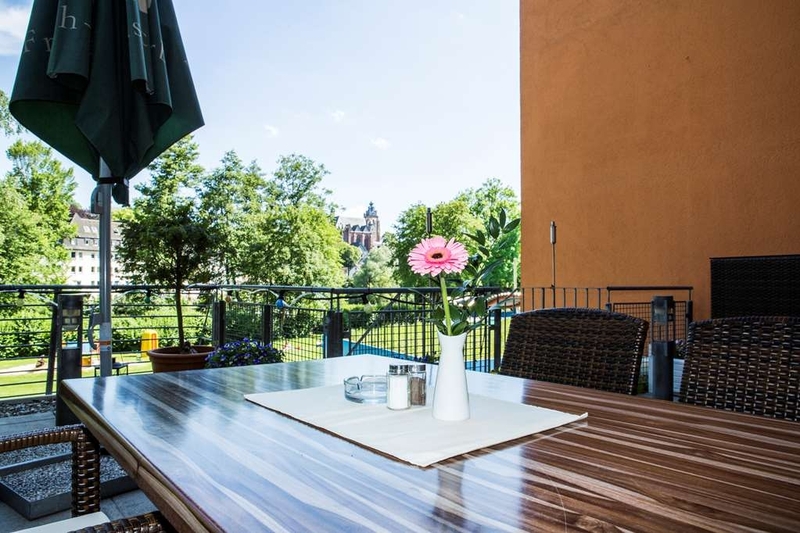 "Nice location to the center of city as well as train station"
Along the main street the hotel is located. The street level there is cafe and the first floor there is reception and restaurant for the breakfast. Not so big room but good enough for short stay on business. Walking distance is the old town over the river which is also attractive to visit in autumn. Beutiful country side. Stayed here for one night; check in was efficient and reception is smart and well laid out. The room was very clean and functional however; I could not find any heating control and no evidence of heating or cooling. For me the room was chilly; the duvet was on the small side and barely covered me. The pillows were plumped but easily flattened to nothing. TV in the room had no UK channels; the room guide stated Ch 28 was BBC News but in reality it was cartoons in German. Breakfast was okay but I've had a lot better for less money. The staff are polite though, receptionist in the evening doubles as bar lady, car park attendant and general worker covering all tasks. She coped well though. Not the best Best Western I've been in; clean, tidy and functional for a night but that's it I'm afraid. 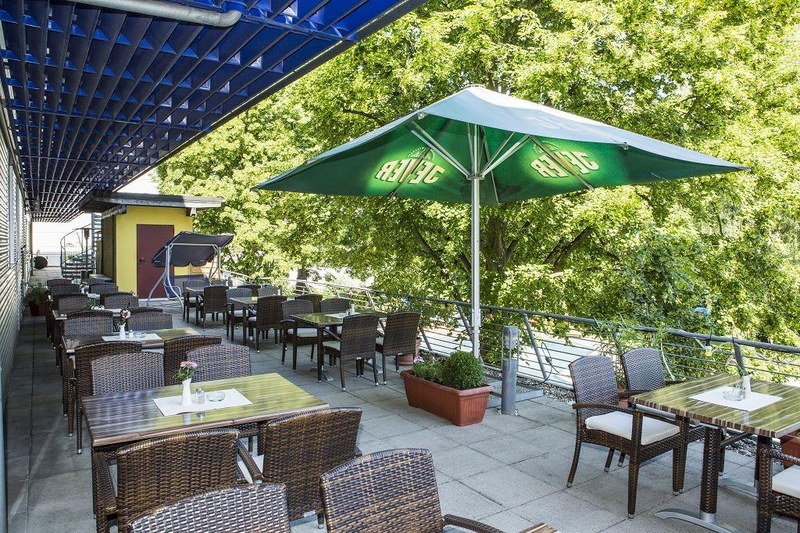 This is not a bad hotel in a good location with easy access to the new part of town with modern shops and small mall as well as being able to cross the Lahn River to get to the Old Town. Room was comfortable and well appointed, nice bathroom as well. Good restaurant for breakfast buffet not much after that. It is on a one way street, coming off the E44 you have to go past the hotel on one street and then U Turn to the hotel and you cannot see the hotel from the first street. The garage is at the far end of the building past the street level entrance, I suggest drop off people and luggage, check in and then go park the car. Also a relatively short way from the train/bus station on the far side of the mall - you can walk it but take a cab if you have luggage. "Great location but very hot room"
My room was located 3rd floor street view. The room is clean and big but no aircon. I have to open my window hearing all the cars and pedestrians' noise to sleep. But still it was too hot in the room. Tv channels were very limited to locals only. The best part is the staff are very friendly. Providing me with good restaurants recommendations. Assisting me to get a taxi. Lastly I was late for breakfast and the staff did not rush me and asked me to take my time. Nice hotel but better be there during cool seasons. "How can you sleep when it is so ‘hot' and ‘heavy'"
I had to be here for a couple of nights on my way to another city. I chose to stay in the hotel because of its proximity to the main station and the nice surrounding shopping area. The hotel was clean. The room was spacious. Complementary coffee, tea, and small bottle of water are provided for you in the room. Breakfast was included and it was good, and the setting on the terrace with a river view was great! The staff was nice and responded in time. The problem I had with this hotel is the lack of air conditioning. No fans either. Sleeping can be hard when you are sweating and the air is so ‘hot' and ‘heavy.' Any way, I'd stay in this hotel again, but in milder weather. If you're arriving by car, be careful! The parking garage entrance is a bit tricky and if you drive past it, getting back around takes some time. The entrance is just past the hotel entrance on the right side across the sidewalk. Then the garage entrance is a quick right immediately after that. You will need to push a call button on the wall to have the front desk open the garage door. Once inside the garage, parking is plentiful and the lift gets you directly up to the reception. Parking is a separate charge. The room layout was nice, very spacious and well lit. The carpet seemed new and was very clean. The shower was a bit tight, but was sufficient for its purpose. There did not appear to be A/C in the room. Dinner was not available at the hotel and the information received from the front desk staff about local restaurants was not so great - the recommended restaurant was closed. Most of the shops and restaurants were closed, but we stumbled upon a place called the Boathouse by going to the right when exiting the front entrance of the hotel. It was a good discovery in what appeared to be a hopeless dining situation. 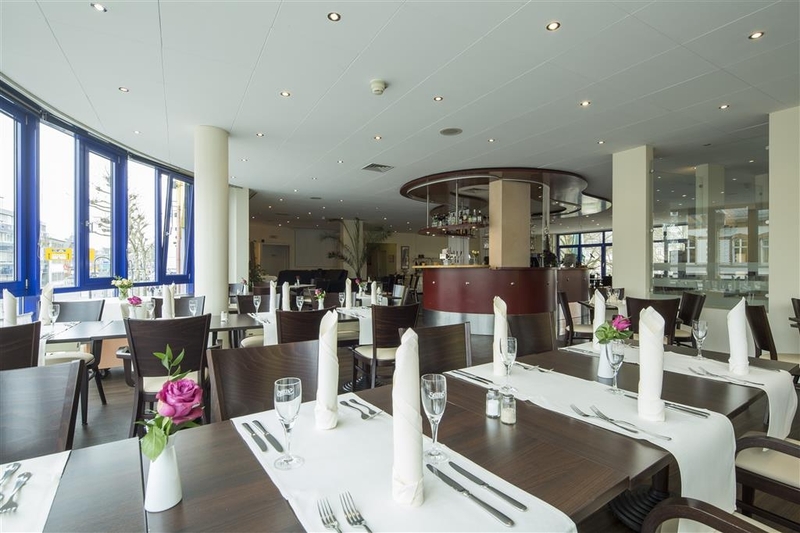 Breakfast was available at the hotel and was the standard German fare, completely satisfactory. Got a booking in a very short time. I ended up liking it even though it was not my first choice. Good connectivity, nice breakfast and moreover a colorful walk back from office through the pedestrian zone are the plus points. Lots of Gelataria, Fast food spots, Bars are all nearby. Definitely a good stop next time.